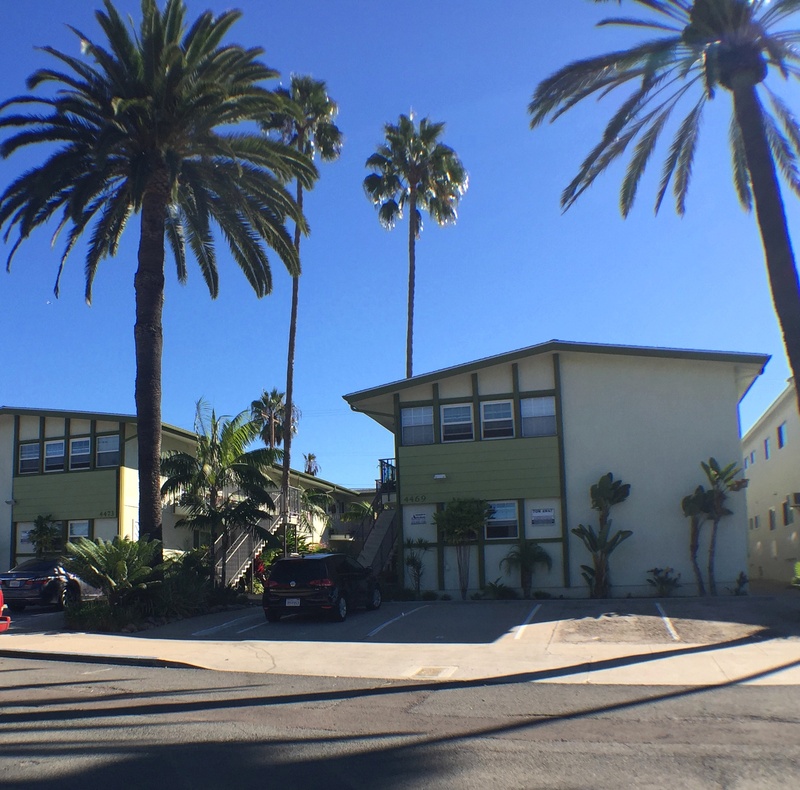 Apartment hunting in University Heights? 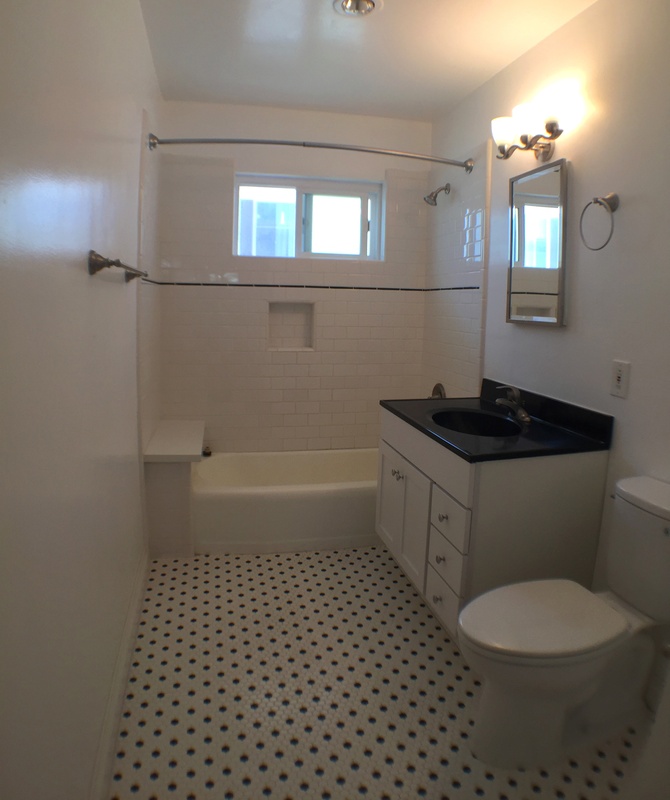 We have the perfect 2bd/2ba available. 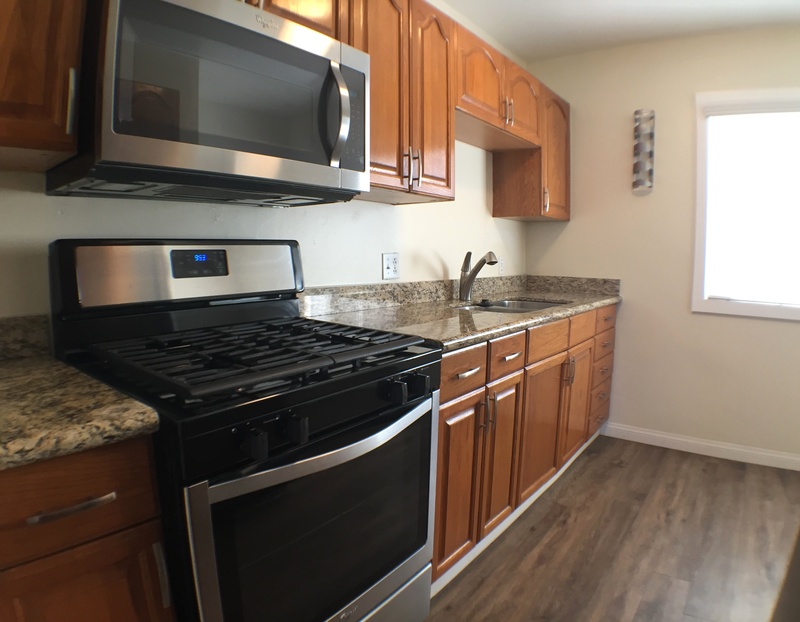 Spacious, beautifully renovated second floor apartment in the highly-desirable neighborhood of University Heights. This well-cared for building is centrally located and walk-able to many shops, restaurants and Trolley Barn Park. The updated kitchen features granite counters, newer cabinets and upgraded stainless-steel range and refrigerator.. Unit gets plenty of natural light, ceiling fans in living room and both bedrooms, 2 assigned parking spaces and coin laundry on-site. Owner pays water and trash. Coin laundry on-site. Cat considered with $25/month pet rent. Sorry, no dogs. Interested in this property? Visit the link below for more information. We should property 7 days a week! Give us a call at (619) 435-7780 to schedule a private tour. Introducing Online Portal Mobile App for Tenants! New Feature Alert! McKee Properties is thrilled to announce Online Portal by AppFolio, a one stop Mobile App for making rent payments, submitting maintenance requests and communicating with your property manager. 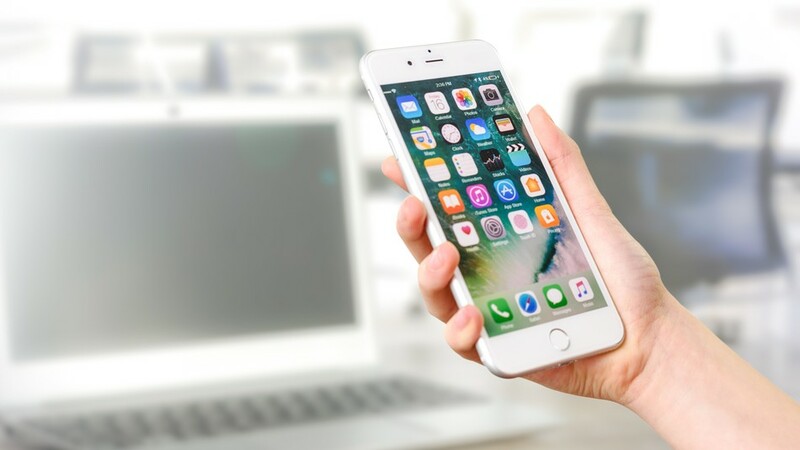 While these functions can also be done online in your tenant portal, this app is designed for easier access and available to any tenant with a participating smart phone. This App is currently available in Apple iTunes and Google Play stores. This new smartphone application is designed to enhance the tenant experience as we continue to deliver the best San Diego Property Management service to our clients. Increasing in 93% of markets in the U.S., according to the National Association of Realtors, with 19% experiencing double-digit growth.Nationwide, the median existing home price rose to $229,400 in the second quarter, up 8.2% from last year. More people bought goods that cost $900 or more. The rest of Southern California saw similar growth, according to CoreLogic, with the median home price up 5.5 percent to $438,000. The area, including Los Angeles, Orange, Riverside, San Bernardino and Ventura counties, also sold 24,235 homes in July, up 17 percent from last year. The region had its best July since 2006 for home sales, CoreLogic said. Job growth, rising consumer confidence and some concern that interest rates may soon rise from historically low levels contributed to the recovering sales, it said. "Southern California home sales have risen year over year for six straight months now, and we're finally approaching an overall sales level that could loosely be called 'normal' in the context of the past quarter-century," CoreLogic analyst Andrew LePage said. Millennials are Renting Longer before Buying First Home. The typical first-timer now rents for six years before buying, up from 2.6 years in the early 1970s, according to a new analysis by the real estate data firm Zillow. The median first-time buyer is age 33 in the upper range of the millennial generation, which roughly spans ages 18 to 34. A generation ago, the median first-timer was about three years younger. Financial challenges facing millennials: Renters are struggling to save for down payments as wages have largely stagnated. Increasingly, too, they're facing delays in some key landmarks of adulthood, from marriage and children to a stable career, according to industry and government reports. With a steady rise of new homes in San Diego County. Here are some new homes that have been built in the following neighborhoods. -Davidson also released its final phase at New Crest Court, 16 new homes in Carlsbad. Award-winning schools is what makes Carlsbad one of the most sought after neighborhoods to live in. Prices start from $1.2 million & feature American Classic, Spanish Revival & California Bungalow styles. -Standard Pacific Homes offers more stunning architecture at Del Sur in two now open luxury neighborhoods - Kingston and Avondale - in San Diego's north coastal hills. Both offering one-of-a-kind floor plans. Final homes are now available at the Prado, Marston, Descanso and Brookfield Sentinels. Del Sur's, The Estates offers elegant architecture and richly detailed interiors that earned it 2015 Community of The Year designation. 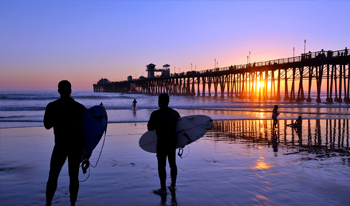 Our days and nights in San Diego are filled with fun things for you to do, see, learn and taste. Many of our events in San Diego are free. You'll also find a variety of events, something for every age group. After you call it a day, make a night of it! 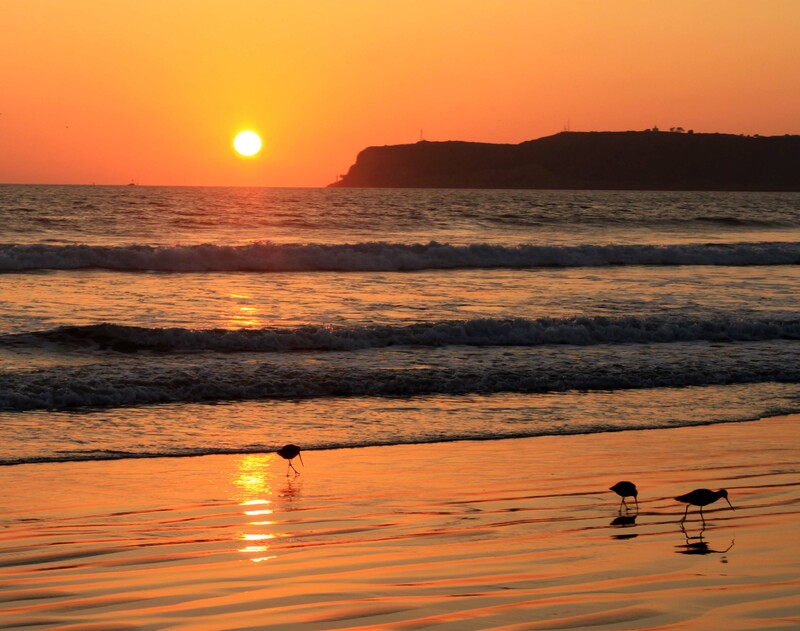 People come here from all over the world for the beaches, nightlife, culture, Spanish-influenced architecture, and the authentic Cal-Mex cuisine. But most of all, they come to experience the palpable feeling that the locals refer to as the SoCal vibe. August 5: Shuck it up at Ironside’s Lady Chef Shuck-a-Thon, featuring six female chefs over six hours to benefit six charities. August 6: Treat your family to the “greatest show on earth,” as Ringling Bros. and Barnum & Bailey returns to Valley View Casino Center with exotic animals and extraordinary performers in Circus Xtreme. Mix and mingle and celebrate Coney Island: Visions of an American Dreamland, 1861-2008 at San Diego Museum of Art’s Culture and Cocktails summer soiree. August 7: Clock out before 4 and head to Del Mar for Thievery Corporation’s free concert after the final race. August 8: Learn to decode the Bard’s lingo at the informative Thinking Shakespeare Live! encore event at the Old Globe.Feast on sustainable fare and support local wildlife at the Farm to Bay Food and Wine Classic at the Living Coast Discovery Center. August 9: Trade your ball gown for board shorts at the Luau and Legends of Surfing Invitational fundraiser for UC San Diego Moores Cancer Center. August 12: Spend a night with Captain Jack Sparrow at the Swashbuckling Summer Movie Series at The Headquarters at Seaport, which presents a free outdoor screening of Pirates of the Caribbean: The Curse of the Black Pearl. August 14: Long live a legend, as the San Diego Symphony’s Summer Pops series salutes Old Blue Eyes at Sinatra at 100. August 15: Raise a pint in honor of craft beer at the Stone 19th Anniversary Celebration and Beer Festival, taking over the campus of Cal State San Marcos. It’s a toga party takeover in Little Italy at the Ferragosto summer night party at Amici Park.Add artwork to your weekend at the two-day ArtWalk NTC at Liberty Station, featuring 175 local and international artists. August 16: Enjoy slapstick Shakespeare under the stars at The Old Globe’s performance of The Comedy of Errors. It’s sure to be a hot summer night at Sleep Train Amphitheater when country star Dierks Bentley takes the stage. August 18: The show may be winding down but there’s still time to see your favorite “idols” on stage at the American Idol Live! concert at Humphrey’s by the Bay. August 21: San Diego Magazine’s Best Of San Diego Party brings together the city’s top restaurants, wineries, and breweries for a night of sipping and sampling at Liberty Station. If you can’t get enough free outdoor films for the family, head to Santee Lakes for Movies by the Lake. August 22: Sip while you shop at the Uncasked at Westfield UTC neighborhood craft beer festival in support of the San Diego Brewers Guild. Add a furry friend to your family—or simply support animal adoption—at the Doggie Street Festival at NTC Park at Liberty Station. August 25: Follow “one young man’s journey to be extraordinary” in the newly revived performance of Pippin at the Civic Theatre. August 27: Feast on food and fashion in support of the San Diego Sports Medicine Foundation at Taste at the Cove, which this year recognizes community legend and longtime San Diego Charger LaDainian Tomlinson. August 29: Shake it off with Taylor Swift as the-superstar takes over Petco Park for her 1989 tour. According to rankings on Monday from WalletHub. 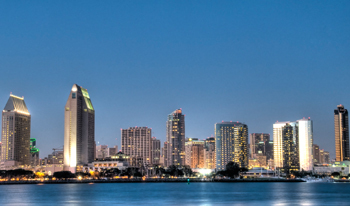 San Diego is ranked the sixth-best large city to live in. 62 cities were ranked with over 300,000 people based on several factors which include education systems, economy, livability & health. Sub-categories included diversity, traffic, affordability, while health took account of air & water quality, crime rates & life expectancy. San Diego's school system tied for first, along with Austin, Raleigh, Honolulu and Lexington, Kentucky. The rankings only applied to actual city boundaries and did not evaluate surrounding metro areas. Fire Safety: The holidays are a popular time for lighting candles and building fires. It’s critical to never leave candles lit while leaving the house or going to bed, and make sure fires are completely burned out. Another safety tip is to ensure your Christmas tree is getting plenty of water. A dry Christmas tree coupled with holiday lights can lead to disaster if not monitored. Remember to water the tree regularly and turn off the lights when leaving your home. 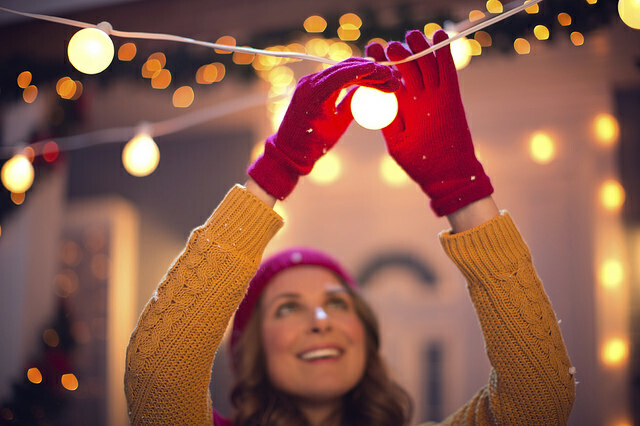 Exterior holiday lights can also be a potential hazard. Ensure that the lights are designed for outdoor use and that they are not touching any flammable materials. Property Theft: Property theft increases dramatically during the holiday season. Burglars know that this is a busy time of year for families, and that many homes are sitting vacant while residents are out of town visiting loved ones, attending holiday parties, etc. Keep a close eye on your home and be aware of suspicious activity. Try leaving a light on while you are gone, or if you know you will be returning home after dark. If traveling out of town, have a neighbor collect your mail and put your newspaper delivery on hold. Another tip is to have a neighbor park in your parking space until you return. The holidays should be exciting, and if you follow these tips mentioned above you will be on your way to keeping your spirits high this season! For more tips on fire/public safety, try contacting your local fire department or law enforcement agency. Rental Market Continues to Stay Strong. The rental market continues to stay very strong in San Diego. 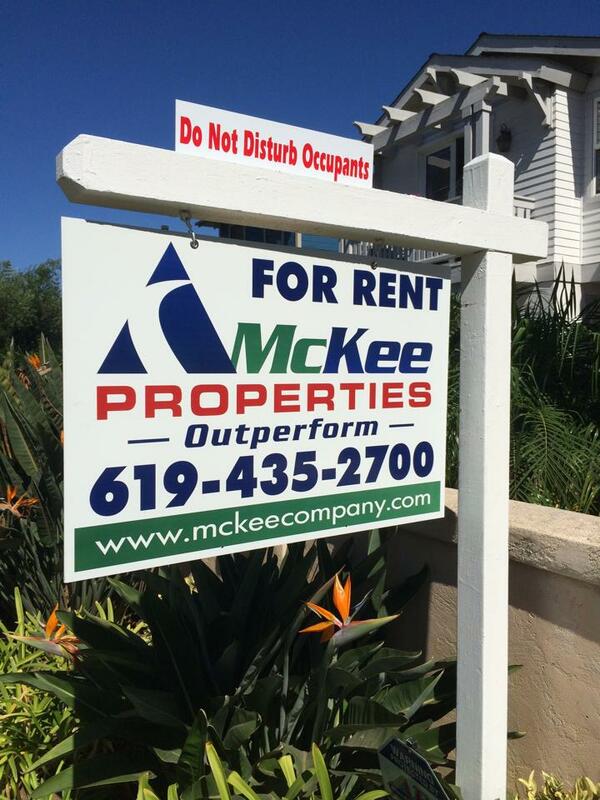 With demand for housing outrunning supply, rents are expected to rise, making now a great time to be a property owner in San Diego. According to new date released in March from real estate data company MarketPointe, the average rent in San Diego County was $1,361, up 2.6 percent from a year ago. Fewer units and more stringent standards for mortgages has pushed more people into the rental market. Vacancy rates also hit a new record this year at 4.43 percent, the lowest rate since March of 2008. San Diego has the sixth-lowest vacancy rate behind New York, Minneapolis, Portland, OR, San Jose and Seattle.